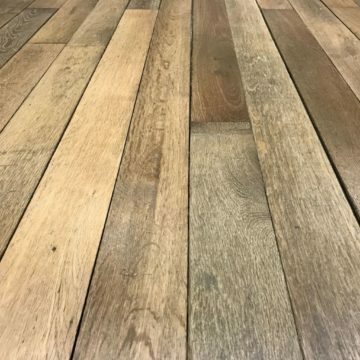 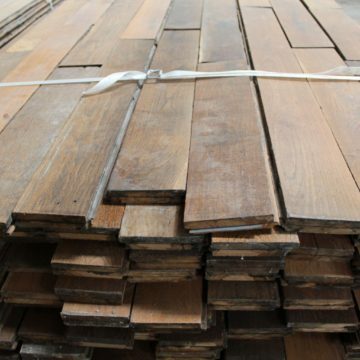 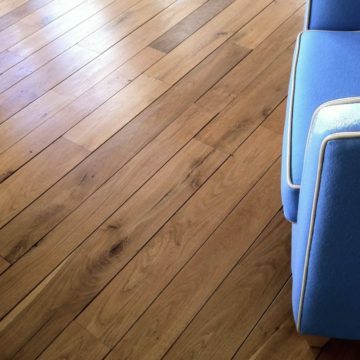 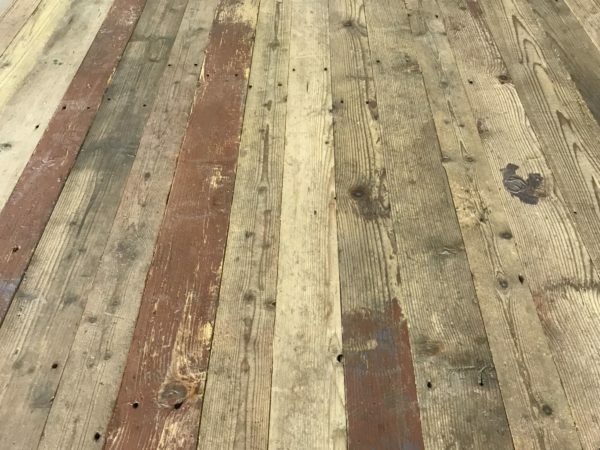 Reclaimed pine flooring – long boards. 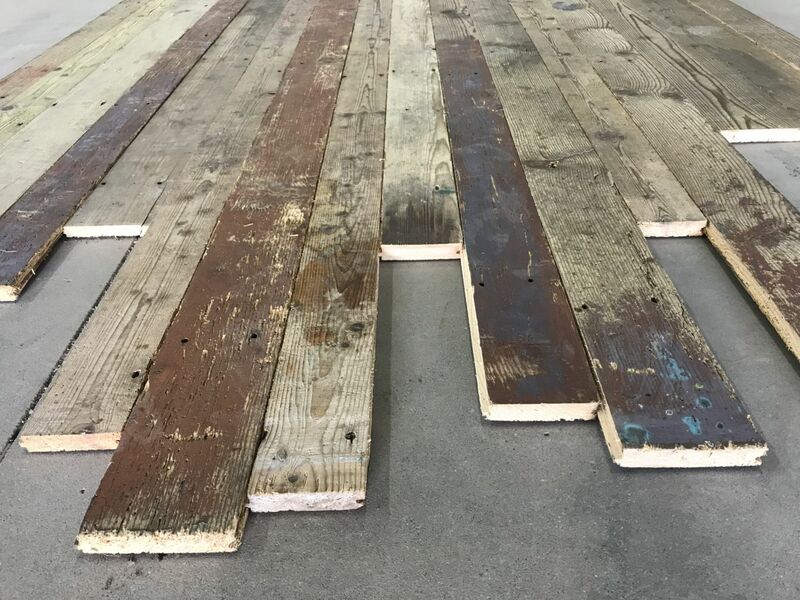 These have been partially re-milled to get them ready to be re-installed. 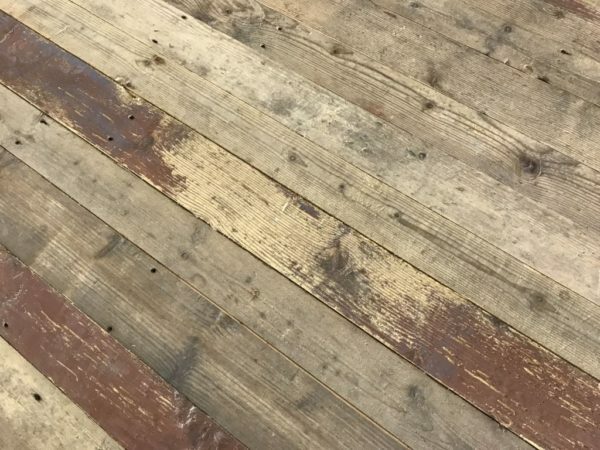 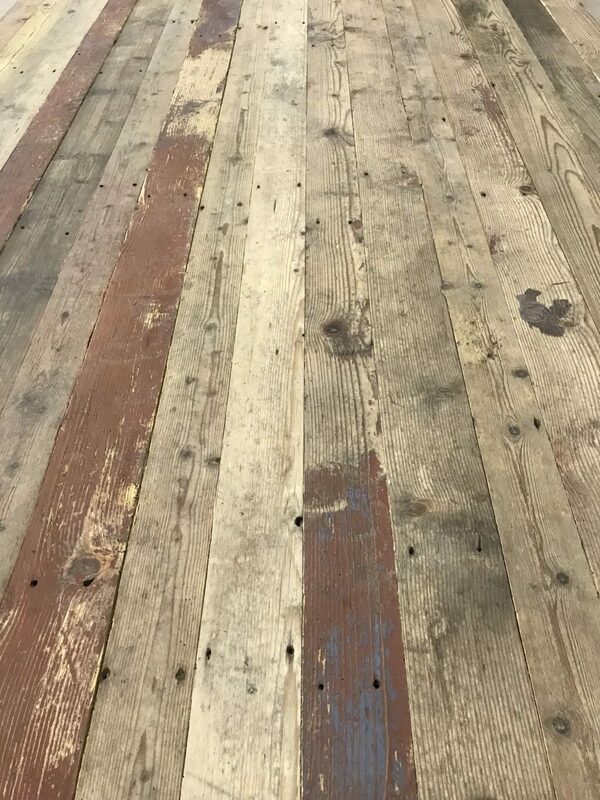 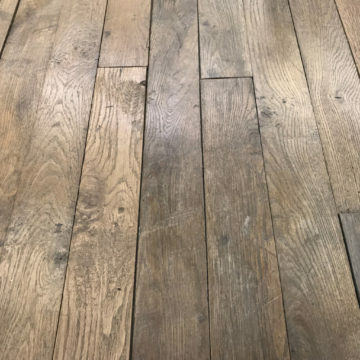 The boards have been planed on the underside to bring them all down to a common thickness, and we’ve re-milled the tongues and grooves, but the upper floorboard surfaces retain their original authentic antique patina “as is”. 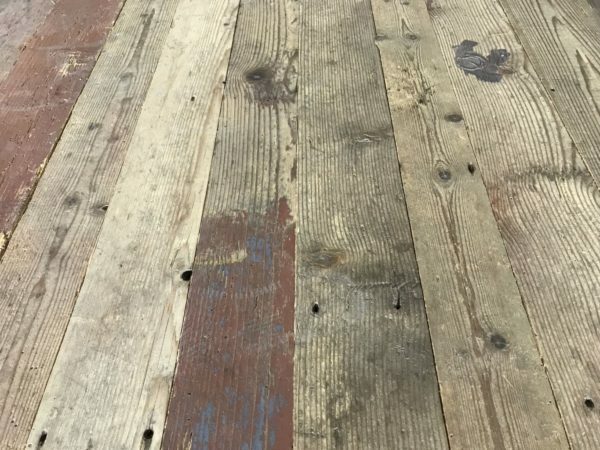 There are some very long boards in this mixed length consignment.